Thien Duong (Paradise) Cave, discovered and named by scientists of the British Cave Research Association in 2005, has the length of 31km, said a British scientist on May 23. 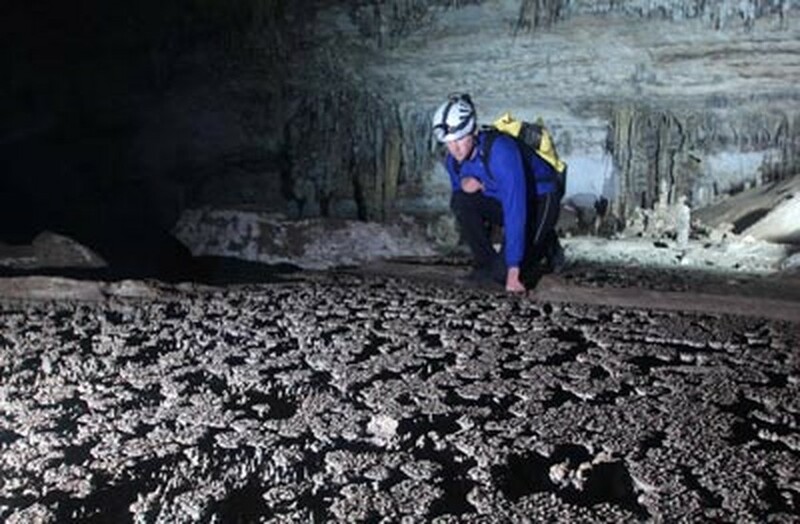 Dr. Howard Limbert of the British Cave Research Association said revelations of the cave’s extraordinary length sets new record for cave systems in the central province of Quang Binh. Upon their initial discovery back in 2005, scientists believed the cave to be no longer than 5km. Yesterday they announced that the cave is in fact 31km in length. British scientists lauded Thien Duong as "the largest and most beautiful cave in the Phong Nha-Ke Bang area". With naturally primitive features Thien Duong Cave looks like a landscape painting, making it very attractive to visitors. To go down the cave, visitors have to cling to a rope, which runs along the sides of a cliff. According to spelunkers, the deeper one journeys into the cave, the more one feels the wells of heavenly clarity all around. There are a series of white crystal stalactites resembling glass pillars and many other spectacular formations. The lower one goes, the view only becomes more colorful and multi-dimensional its space. Some of the cave’s rock formations of resemble familiar images of the daily life, such as a flower trellises and vegetable gardens. Scientists also discovered a section of stone fungus and some unknown diminutive creatures, rare inhabitants of such caves. According to Dr. Howard Limbert, this may be the longest dry cave in Asia and its 31km length is a shock to scientists. The cave hopes to become a future destination for tourists due to its beauty, reminiscent of an imperial palace.